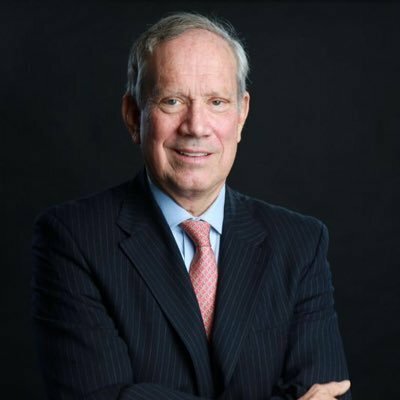 "I applaud Rising Stars for its commitment to our children." 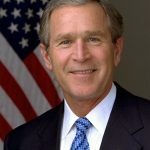 Click HERE to read full Presidential Letter. "I have to say Rising Stars program really works. 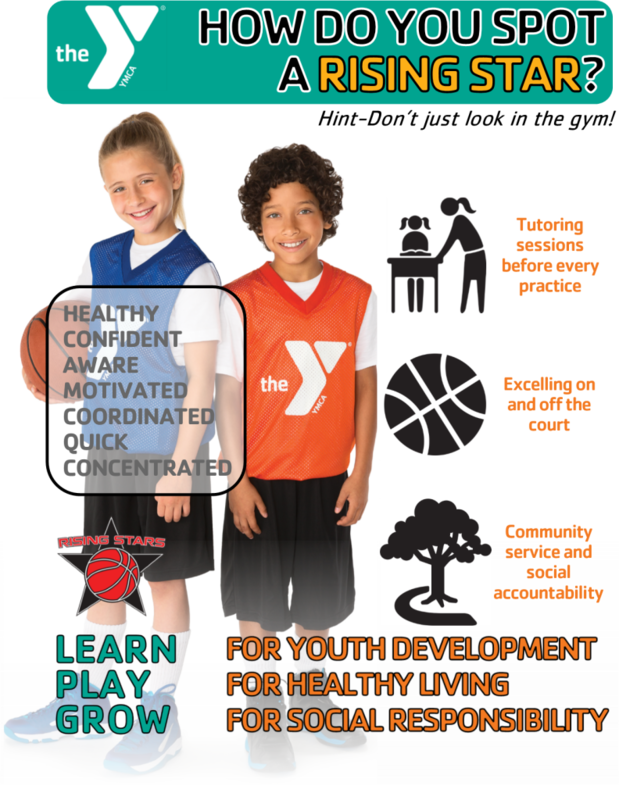 Taking vulnerable youth who have the love of basketball, and giving them a safe place to grow at the YMCA and Rising Stars, giving them support both in academics and sports so they might have a brighter future, now that's what you call an equity building program." 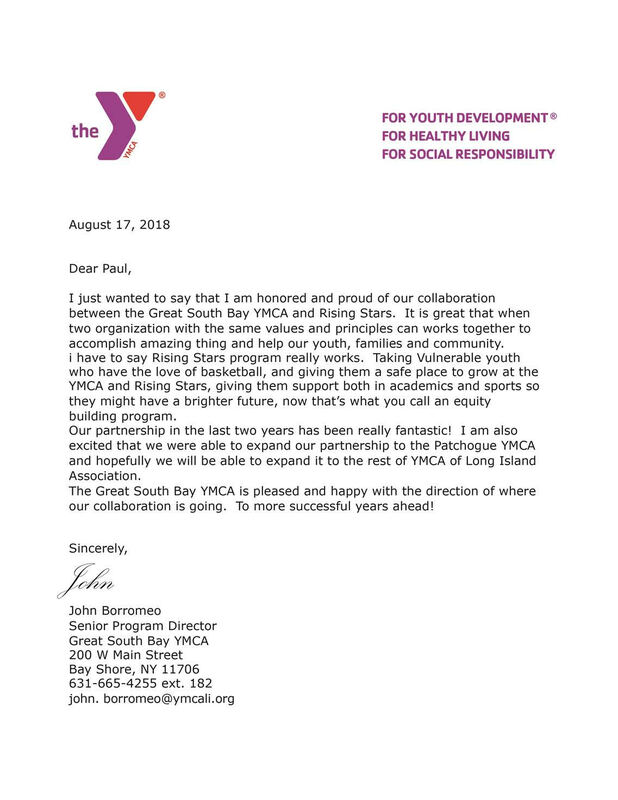 Click HERE to read full letter from Great South Bay YMCA. "I have the greatest respect for what Rising Stars represents and how it continues to help young people throughout their lives. Rising Stars provides young men and women with a great experience to help in their growth and development into adulthood. The activities Rising Stars promotes create a balance between being a player, a student, and a well-rounded individual. lt's a pleasure for me to speak about this program and an honor to have had my kids enrolled." 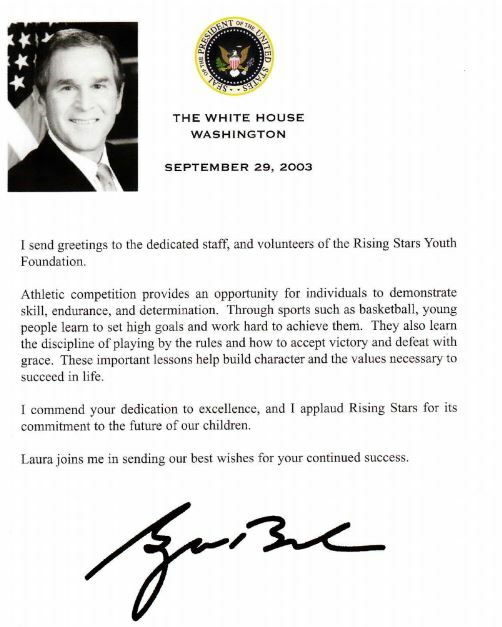 "The Rising Stars Foundation is one-of-a-kind. Its mission is based upon a sound educational philosophy that promotes the development of critical thinking and life skills as well as teaching the meaning of accountability, responsibility and integrity. I cannot say enough about Rising Stars! 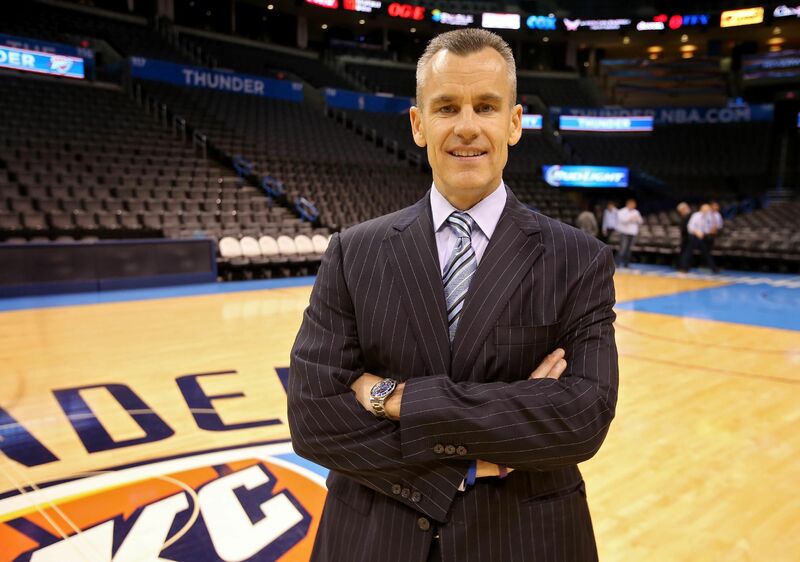 I am proud to be a part of this outstanding organization." "You have me in tears right now! I cannot express my sincerest THANKS to you and the committee for providing my son with this wonderful opportunity." "I have met many new teammates and always enjoy when we are able to do community service together to help others in need and to show our appreciation. I will continue to make the Rising Stars staff proud." "Rising Stars makes a meaningful difference in our society by changing the course of young lives!" 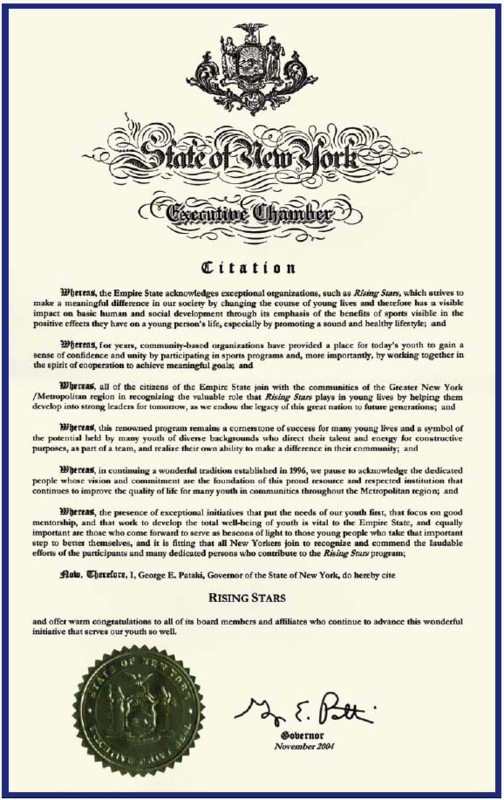 Click HERE to read full Governor's Citation. 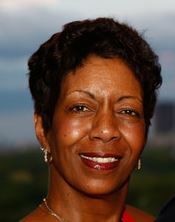 "It's rare to find an organization that exhibits the same values and principles that are at the core of the YMCA’s philosophy in working with family and community. Youth development, Healthy Living, and Social Responsibility are paramount in the teachings led by Rising Stars Staff. 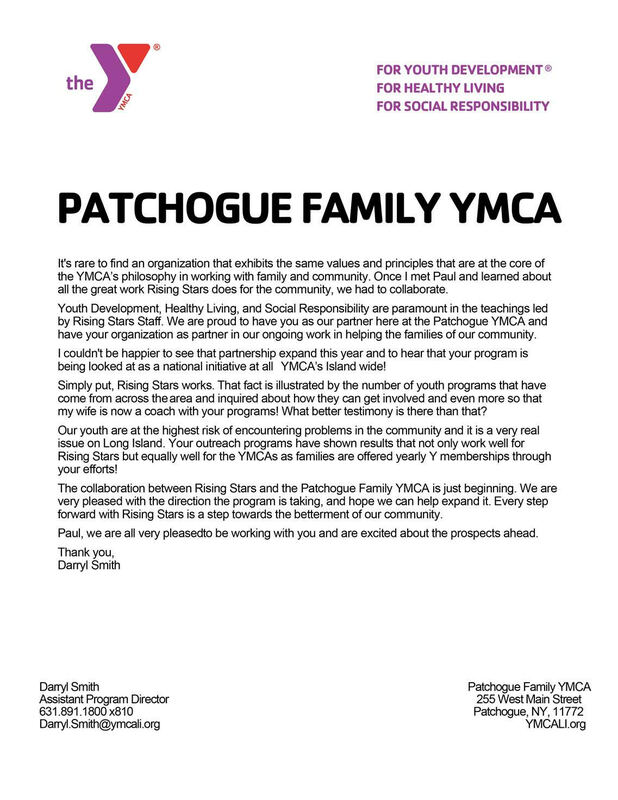 We are proud to have you as our partner here at the Patchogue YMCA "
Click HERE to read full letter from Patchogue Family YMCA. "Over the years we have been fortunate to have a number of our players come from Rising Stars programs. Jason Williams is a perfect example of what this program stands for and what it does for kids. Rising Stars helps kids deal with peer pressure. Rising Stars provides a well- rounded background that helps children develop the strength and the ability to make the right decisions in life at a time when the wrong decisions can impact their lives. Congratulations on a great program and for what you do for kids." 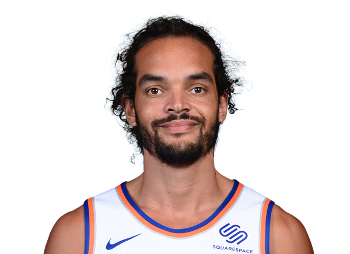 "I can define Rising Stars in one simple word, "FUN !". Kids enjoy being a part of Rising stars, and they want to stay involved in its programs. That's a very important thing to say at a time when kids are dropping out of to many programs. I enjoyed my stay in Rising Stars, and I am sure that any other kid would feel the same. "Rising Stars has given me so much to look forward to and I hope to continue for a long time. 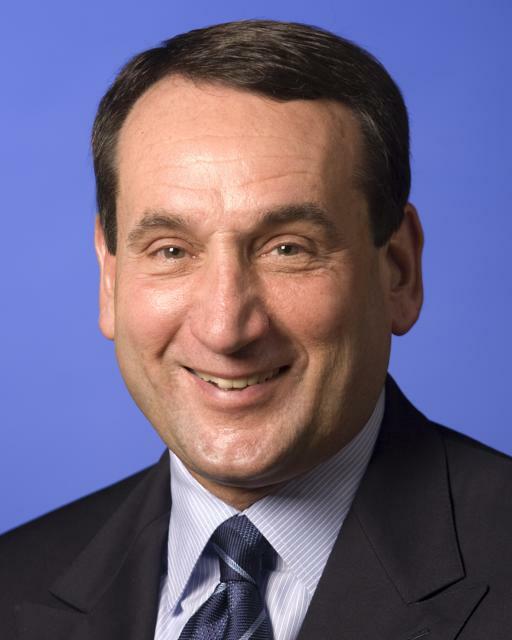 When I get older I plan to come back and coach and mentor kids just like me." "My grandson Ryan was one of the fortunate ones to receive a full scholarship through Rising Stars to attend Holy Cross High School.Rising Stars is transforming lives and I just want to say thank you for all you have done for my family. Your support is invaluable. You have caused life altering experiences to come into my family’s life and the lives of so many others and we all are eternally grateful."